Sometimes when you come across a writing or a description so accurate, it almost feels impossible to come up with your own idea and explanation regarding a certain topic. I find that this excellent review of Britta Persson’s song, ‘Winter Tour’ in Stylus Magazine to be precisely close to how I feel about it. I don’t know how anyone can pass that review and not want to discover more about the song by hitting right-click and save as. 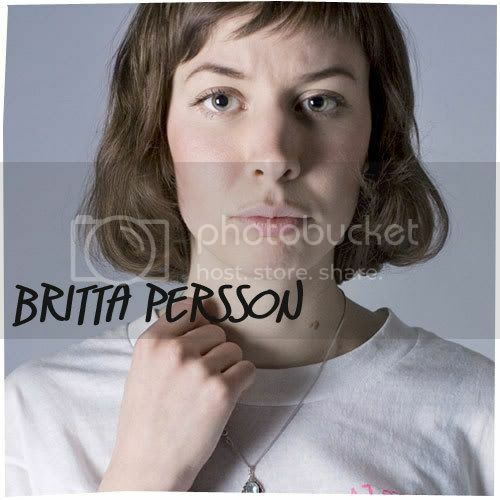 Swedish singer/songwriter, Britta Persson may be one of the many musicians to add to your already gigantic list of beyond talented female solo singer/songwriters that readily bears names such as Regina Spektor, Feist, and etc. If I could describe ‘Winter Tour’ in just two words or less, it’d be ‘serenely beautiful’. I know it’s an expression that’s been recycled too many a times, but this one carries it well, I guarantee you.